Is there a minimum amount of bills I need to produce? No. 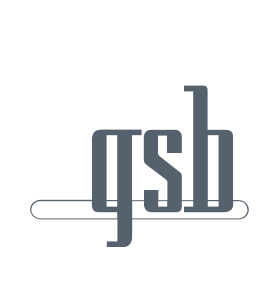 At GSB, no project is too small or too big. Are there specific accounting systems that your system works with? Our System works with the most popular systems; Yardi, RealPage, MRI, MDS, TEchniverse, IBS, Skyline, TOPS – everything from the industry leaders to the home-grown system. I really don’t like the way the bill looks when I generate them from my system. Can GSB modify a bill? Yes. “Multiple fonts”, “bold”, “boxes” and “shading” are just a few of the things we can do to help make your bills look the way you want them to. We’ll add your logo, make color recommendations and work with you to design an invoice that is consistent with your brand. The amount of characters my software allows me to use for messaging on the bills really limits what I can print. Is there something you can do to help with that? Our Dynamic Messaging solution allows you to customize messages for each individual building. You can even create messages with hundreds of character in many different fonts. Also, be sure to ask about our insert program. We’ll print, insert and mail with your bills. Using ride-alongs with your bills means no extra postage and big savings. How long does it take to get my bills into the mail? GSB guarantees that we will get the bills in the mail within 48 hours from receipt of the billing file. Our Fastprint Laser Printing Service uses high speed laser printers to print your bills, merge them with return envelopes and insert them along with any extra inserts you may require, into their outgoing window envelopes. Within two business days of receipt, they’ll be bundled by property and returned to your office or presorted, bar coded and mailed to the recipient at the lowest possible postage rate. We manage home owner associations; can you print coupon books? Yes. We can easily print a 12-page coupon book with cover. We can also include return envelopes or twelve preprinted return labels. There are many times our company wants to include additional documents in the envelope with the bills, can you handle that? Yes. We can insert multiple documents into the outgoing bill envelope. Supply your own or send us a PDF with your bill file and we’ll print it for you. We have the capabilities to produce black and white or 4-color units in multiple sizes, one or two sided. Using ride-alongs avoids additional postage costs and is one of the most cost-efficient and effective ways to get messages to your customers. We have a document that we want included with our bills, can you include that for us? We can insert additional documents that you provide us or simply send us a PDF with your bill file and we can produce the extra document for you. We have the capabilities to produce black and white or 4 color units in multiple sizes, one or two sided. We’ll print, insert and mail your ride-alongs, it’s that easy! Occasionally we want to send out a sample mailing. Can you do this for us? We have state of the art print and mailing equipment. We can print in black and white or color on one side or two. Can you presort our mail? Yes. We attempt to presort all mail with the goal of giving you the best postal rates available. Can our company get a proof of mailing? Yes. GSB can provide you with a Certificate of Mailing. Our company already accepts electronic payments from another provider can you still generate electronic bills? GSB in not a payment provider. Our solution can integrate with any payment provider in the market today. I have a list of email addresses, can you use that list to register users for eBills? Yes. Our system can import a CSV file. How do we send an extra document to those recipients that get their bill electronically? GSB has a product call eAttachement. We will take your document, create a PDF and attach it to the email sent to your user. How can I communicate the program to my customers? At GSB, we have a resident marketing program that includes stuffers and emails that we will brand and send to your customers for you. It’s that easy! How do customers register for eBill? A “Go Paperless” link is placed on your website. Customers visit your site and go through a one-time registration process. After that, eBills are sent to them each month. What is the difference between an eBill and a Paper Bill? Our eBills solution provides a truly itemized eBill that looks exactly like your paper bills. The only difference is that you no longer pay for postage!